**Clients will incur a $12 additional charge for all pets 4 months old and up that are not spayed or neutered. *MANDATORY $22 PET REGISTRATION TAG FOR DUVAL COUNTY NOT INCLUDED IN PACKAGE FEES. For puppies 2- 6 months old. *Follow up boosters vaccines NOT included. Pets 4 months old and up are old enough for rabies vaccine. 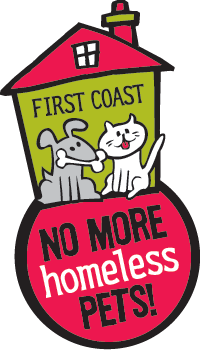 ****MANDATORY $22 PET REGISTRATION TAG FOR DUVAL COUNTY NOT INCLUDED IN PACKAGE FEES. For kittens 2-6 months old. ** Follow up boosters vaccines NOT included. Pets 4 months old and up are old enough for rabies vaccine. *This package is recommended for sick pets and emergency situations. $50 off special for a limited time only! Don’t forget to check to see if you qualify for one or more promotions running on the Free, Low Cost, and Discounted Veterinary Services page.